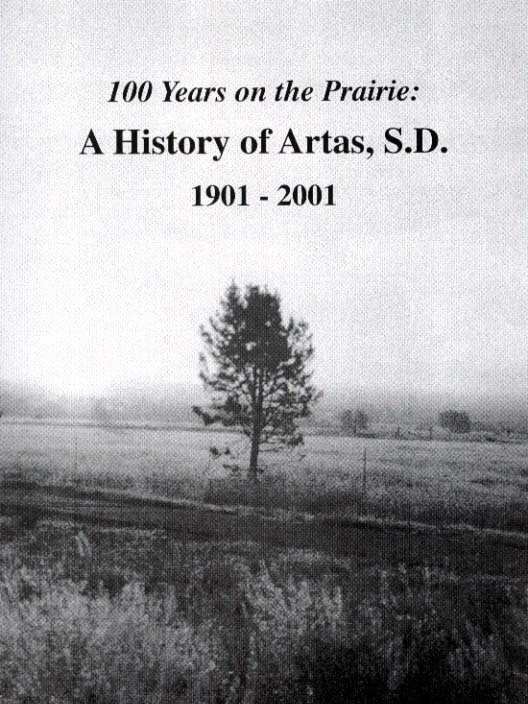 Artas Centennial Committee, Artas, South Dakota, 2001, 105 pages, softcover. The Germans from Russia Heritage Collection is pleased to provide this book about Artas in north central South Dakota, in the heart of German-Russian country. The publication includes: 1) The First 75 Years; 2) Services; 3) And They Were Moved by the Spirit (church histories); 4) School History; 5) Entertainment, Recreation and Organization; 6) The Golden Jubilee; 7) The 75th Jubilee; 8) The Last 25 Years; 9) Memories; 10) Families. 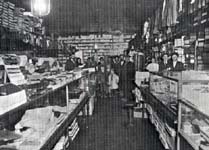 There are many photographs included in the book about Artas and family pictures. Germans from Russia families include: Ackerman, Bauer, Beck, Bentz, Berreth, Biel, Bischke, Bohle, Delzer, Deurmier, Dietrich, Fried, Fuehrer, Grenz, Hardt, Heiser, Huber, Hulscher, Jahraus, Kauk, Kautz, Kirschenmann, Knoepfle, Kost, Kusler, Lutz, Mulder, Munsch, Ochsner, Orth, Rohrbach, Rutschke, Schmahl, Schmidt, Schweigerdt, Schweigert, Staebner, and Zimmerman. 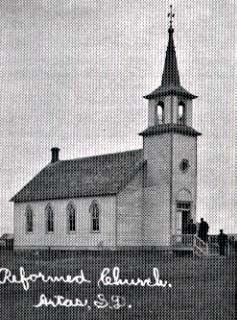 Built in 1907, replaced in 1941 and later became aUnited Methodist. 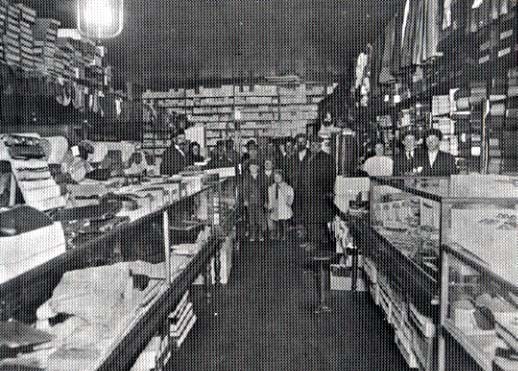 The interior of the first store in Artas, S.D. 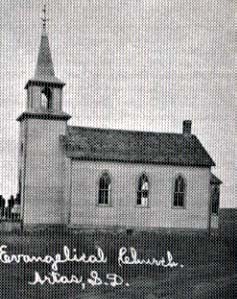 owned by George Fischer 1902. A History of Artas, S.D.